An important part of being a Technical Evangelist at Microsoft is continuously upskilling and playing with different technologies. 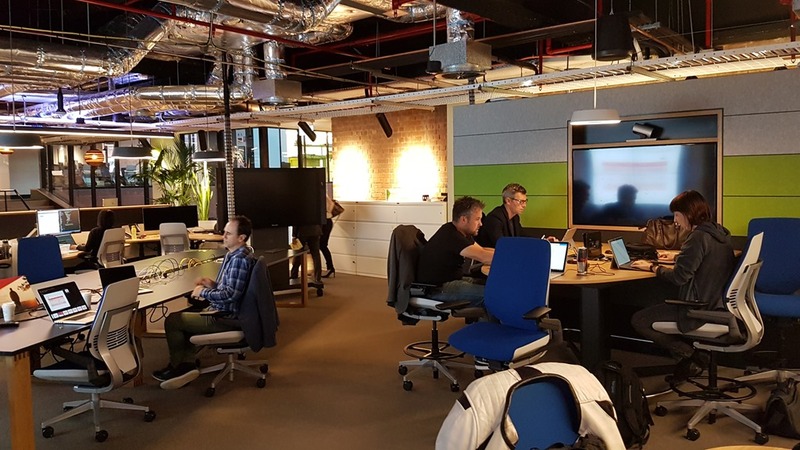 Each of us are usually off speaking to different customers or attending developer events, so to give us a chance to work together as a team and learn from each other we decided to set up a regular internal hackfest. 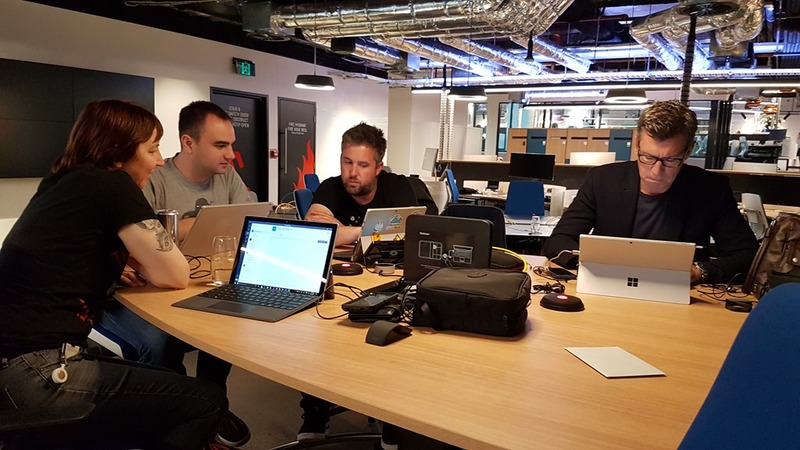 Last month we had our first, and the Melbourne team were hosted by Frank Arrigo at the Tesltra Innovation Labs. It is an awesome space, and we plan on hosting a LOT of future hackfests there. We also had our remote team mates working away and keeping in touch during the event. Each of us hacked away on our own experiments, which gave us a chance to check out the latest toolchains and APIs. But it was great being able to just ask each other for advice. At the end of the 2 days we all jumped onto a conference call and showed off what we were able to throw together. The valuable thing was just hearing the learnings from each person on the “gotchas” they discovered when working with the tools/tech. I’d then be able to compare the DLs that I’m on, with the ones that my peers are on. And flag which ones we have in common, and which ones we don’t share as suggestions. The next step was to build a web app to do this. I jumped onto the Microsoft Graph quickstart https://developer.microsoft.com/en-us/graph/quick-start to generate a skeleton app as my starting point. This required registering my app on https://apps.dev.microsoft.com/ which would allow my to request permissions from the user, to access the graph on their behalf. 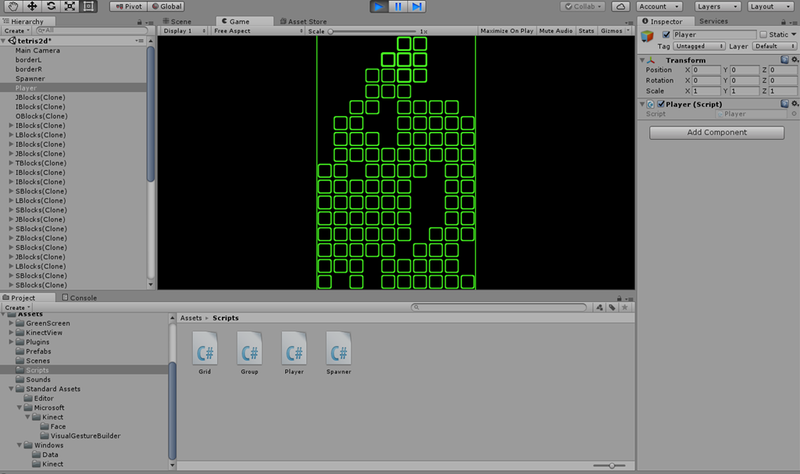 But it was still a good exercise as I was able to see each of the pieces working, and got some basic queries working. Wanted to play around with Conversations as a Platform and learn more about what is possible with bots. On day 1 lost a fair bit of time with some visual studio 2017 issues. 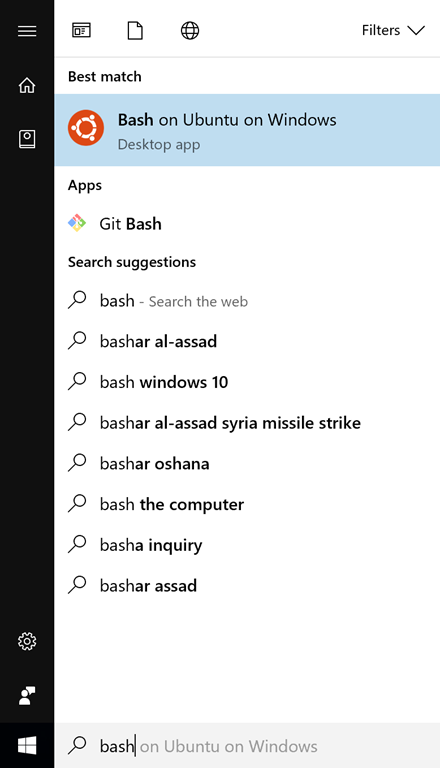 These seemed to be related to having a pre-release installed side by side with VS 2015 and then installing the full release version. I intended to test more .Net core items but with the time lost I pivoted on to an area I was comfortable I could rapidly progress. I used this to generate a Tab and Bot and deploy it to one of my development O365 tenancies. 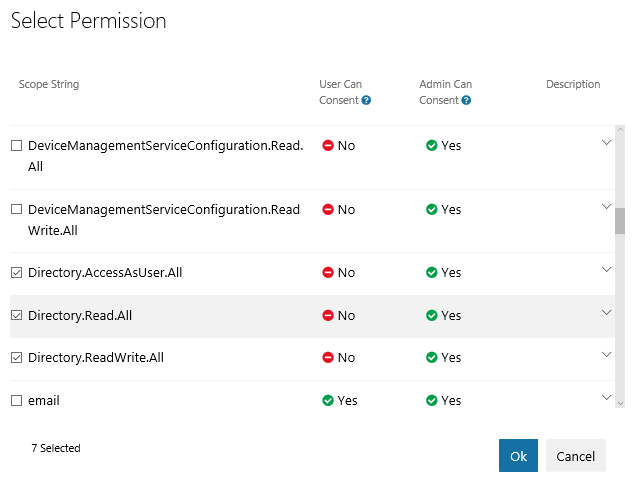 This included hosting the Bot and Tab an Azure tenancy and deploying via a local Git repository (via this https://docs.microsoft.com/en-us/azure/app-service-web/app-service-deploy-local-git ). This was a nice simple option that I hadn’t used before as had previously only used VSTS and full GitHub. This was exactly as easy as expected to get running so was a nice option to tick off the list. As part of the testing of the Tab I confirmed that I could get the Tab Theme switching working (as per https://blogs.msdn.microsoft.com/richard_dizeregas_blog/2017/02/07/microsoft-teams-and-custom-tab-theme/ ). 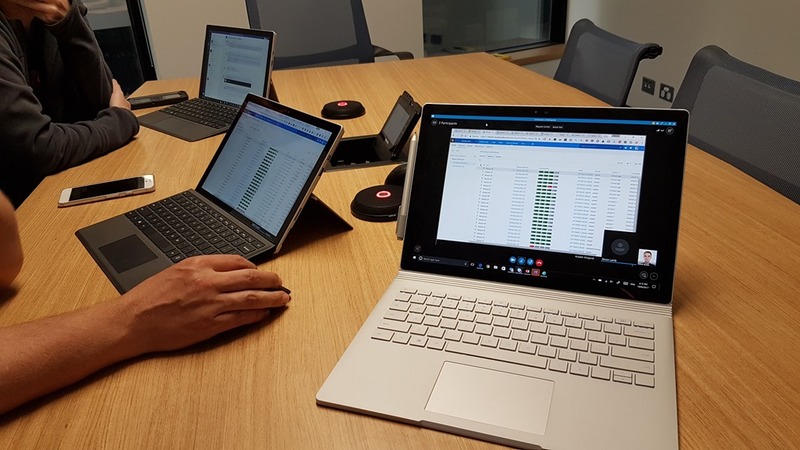 This worked quite well although on a slow internet connection the event firing was delayed hence there would sometimes be a several seconds of the tab showing before it changed colours to match the teams client. Also included Office UI Fabric (https://dev.office.com/fabric ) to check if that would have any issues working in a tab inside teams. I only had time to test a few elements including the spinner but these all worked well on the Tab. The main consideration is the theming may not automatically flow through to these elements as the Teams Style sheets have very specific classes that they target hence things need to be wrapped in the elements for them to be able to change colour when needed. This is especially important if you want your tab to work on the high contrast setting. Finally I tried to extend the bot via some deep linking scenarios following this https://msdn.microsoft.com/en-us/microsoft-teams/deeplinks , however was not as successful. Asking the bot to send the url taken via manually grabbing a deep link for the tab worked well but that had a different format to the article. Simon being Mr. DevOps, wanted to explore combining VSTS with chat bots. Whenever a build was kicked off in VSTS, he wanted to report back if the build was successful or not, and allow users to instruct the bot to trigger Release Management to push the successful build to different environments. He was able to get the chatbot reporting new events in a Microsoft Teams channel, and having the bot trigger certain things back on VSTS. I previously wrote how to install Jekyll on Windows by installing the Windows version of Ruby and then installing the gems that way. 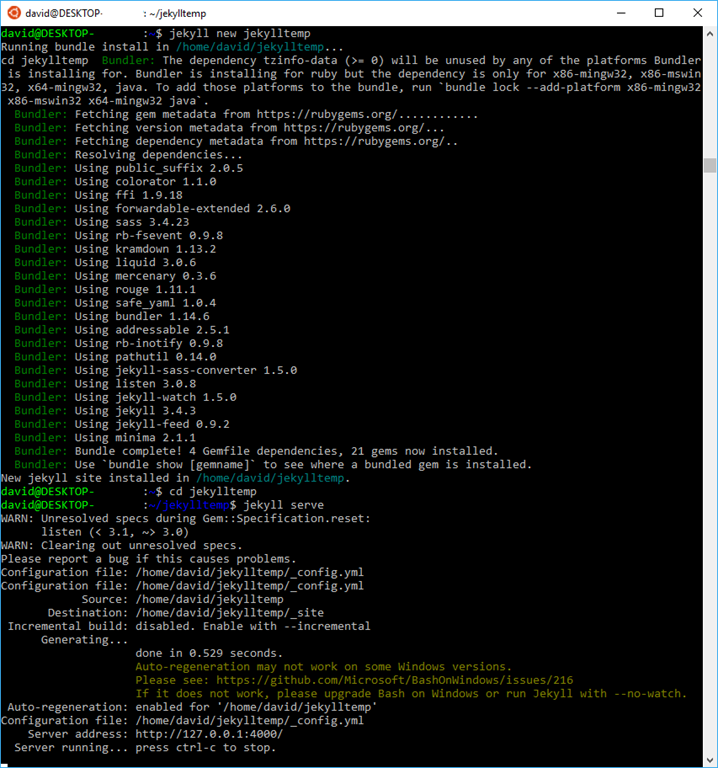 I have found another way install Jekyll via the Ubuntu version of Ruby. This is my preferred way now, as the Linux version of these tools are updated more frequently than the Windows versions. 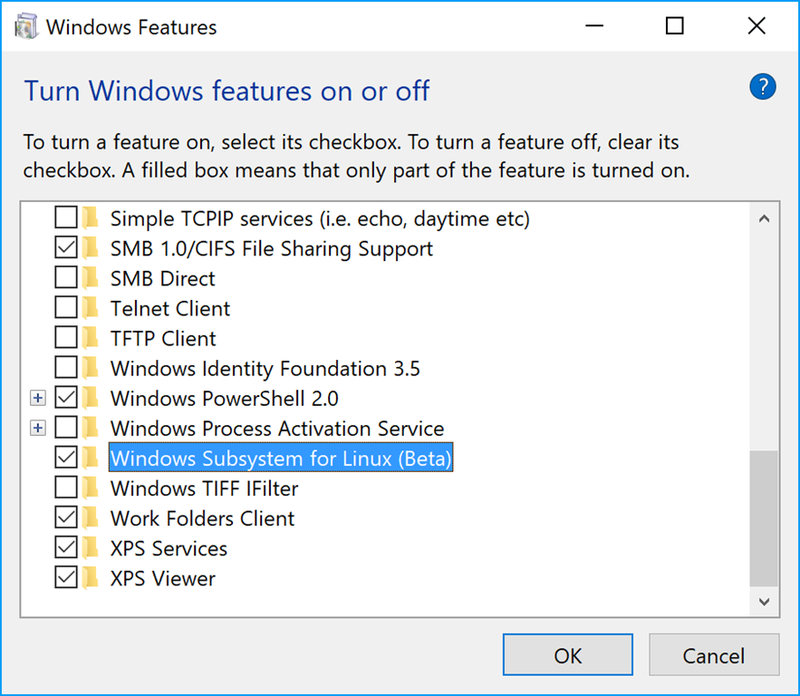 Enable Windows subsystem for Linux. Then you can do the standard ‘jekyll new foldername` and `jekyll serve` to host it. As I previously mentioned, I was scheduled to deliver 2 talks at Ignite Australia. The talks both went well, and I’ve been getting a lot of great feedback about them. Now that the dust has settled and the content is all online I thought I should share the media to make it easier for other to watch and learn from them. Chris Zhong & I covered off an introduction to Blockchain 1.0 & 2.0. Covering off how Blockchain 1.0 technologies like Bitcoin are able to store state. But the rise of Blockchain 2.0 technologies like Ethereum, is what has gotten people’s attention as they are able to store state and embedded logic within “smart contracts”. 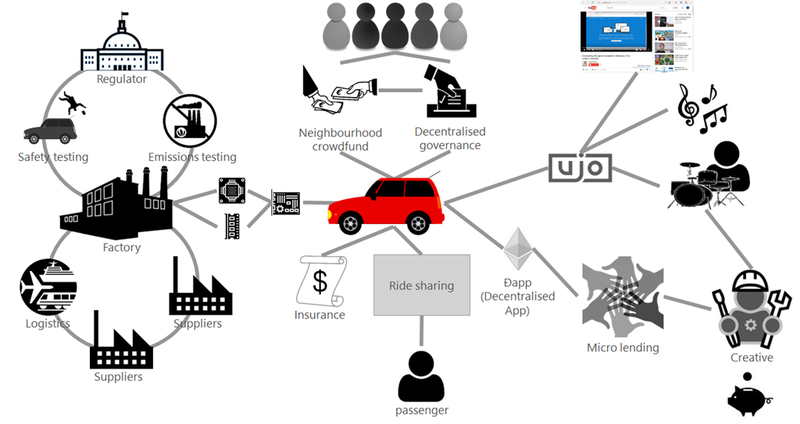 I had heaps of fun with this session as I spent days putting together a scenario showing how multiple DApps (Decentralised Apps) could be linked together via on chain smart contracts, to build up an ecosystem of Blockchain apps that are able to leverage each other seamlessly. 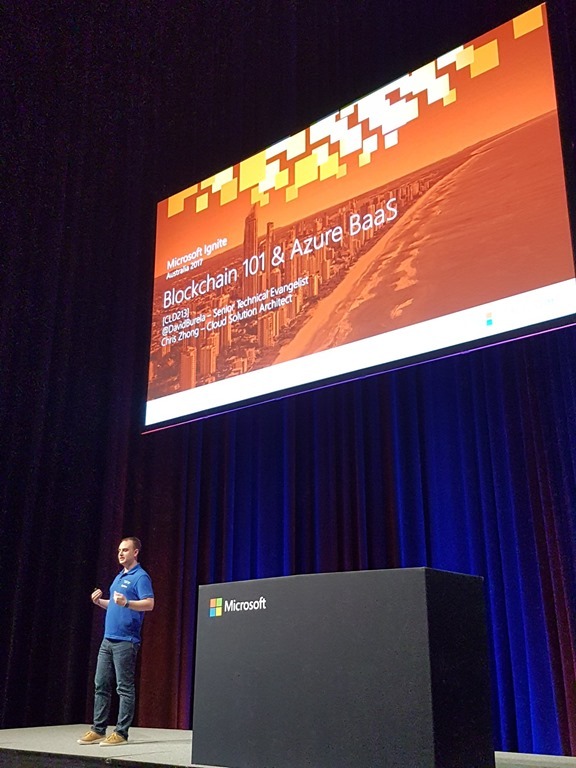 A thanks to Chris Zhong for putting together and presenting the section on “Azure Blockchain as a Service”. Going into Blockchain development blind can leave you stumbling around on the net not knowing where to even begin to look. The purpose of this session was to take the knowledge I’ve picked up from doing Blockchain projects, and the months and months I’ve spent replacing and refining tools down to the easiest development experience, and distil it down for the audience. It was an awareness session “these are all the tools, here is why I use these ones, this is how you create a skeleton of a Blockchain app, interact with it, test it, etc.”. It wasn’t as clean as I would have liked, and subsequent repeat presentations have been smoother, but it is still a great starting point.